The City of Melbourne's Urban Forest Fund and initiative which aims to increase greenery throughout the municipality is set to open up for the second round of funding toward the end of August. First round funding drew high levels of interest from developers and building managers according to the City of Melbourne and in the second round, successful applicants will have their project's cost matched dollar for dollar. Grant funding is available from $25,000 to $500,000 which means the minimum value of a project that will be eligible is $50,000. The Urban Forest Fund currently has $1.2 million in seed funding and the City of Melbourne is seeking contributions from other organisations and individuals who wish to see a greener city. One of the successful applicants from the first round of funding in 2017 was the Greening Howlett Street project. The Howlett Street complex consists of 45 apartments. It has an outdoor common area running through the centre of the property, providing a publicly accessible connection from Smithfield Road to Howlett Street. As it currently stands, the area has very little greenery and frequently encounters flooding issues. Due to the lack of attractive communal spaces, residents don’t often interact with their neighbours or use their outdoor space. Inspired by the opportunity to create a more inviting common area, the residents came together to improve their living environment. 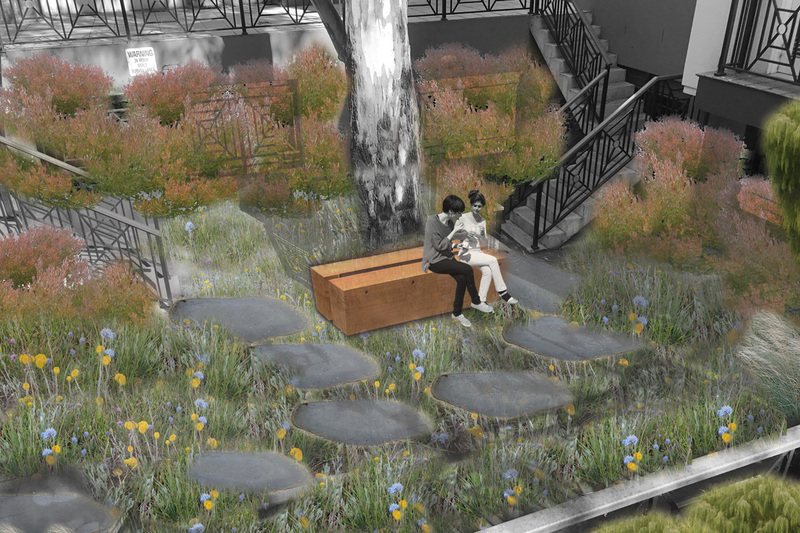 The residents, coming from a diverse background of owners and renters, families and singles and different generations, have pooled their resources together to design a project that not only enhances greening outcomes, but also creates rich cohesive spaces for tenants and for the neighbourhood as a whole. "We had just started a community garden club which was really popular, and this grant seemed like the perfect opportunity to expand on the community benefits that we were seeing from that project. We wanted to bring our community together and create an attractive and unique space that we could all benefit from." A landscape architect was employed to create a green infrastructure design plan and the project will see 1653 new plants and 122 square metres of new green vegetation. Information sessions on round two funding will be held on 13 August, 12:30 pm – 1:30 pm and 6 September, 5:00pm – 6:00pm at Council House 2 (240 Little Collins Street) and applications open on August 27th and close on October 22nd. For more information see melbourne.vic.gov.au.